A clear and cold morning in New York City welcomed us along with Lab Director Matt Gold from The Graduate Center Digital Initiatives at The City University of New York (CUNY) located on 5th Avenue. At the GC we were to visit two labs working with digital tools and methods in various ways: The Digital Scholarship Lab and New Media Lab. 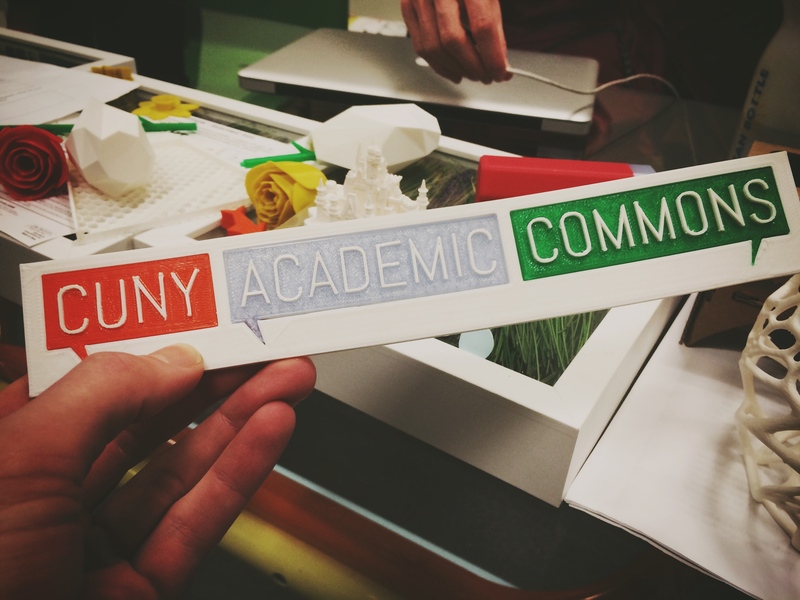 The GC Digital Scholarship Lab is a research space at CUNY which works as a project-based work center on the use of technology in research and teaching. The focus of the lab is on creation of collaboratively produced, community-based open-source software platforms for scholarly communication. Here we meet with Andy McKinney (sociology) and Michelle Johnson (Linguistics) – both engaged as Digital Fellows at GC. The GC Digital Fellows Program operates as an in-house think-and-do tank for digital projects, connecting Fellows to digital initiatives within GC and supporting a variety of digital projects like designing websites for special initiatives, arrange workshops on explore new ways for Graduate Center faculty, students, and staff to share their academic work through new technological platforms and social media tools. What a very cool and meaningful way to empower faculty and scholarship with digital tools and skills and create better projects. Matt is telling us that The GC Digital Initiatives tries to interact a paradigm shift in scholarship at GC toward more awareness of digital methods and tools and The Digital Fellows is a very important cornerstone in this work. Trough dialog with faculty they break down technology silos and point people to digital methods that could make sense and impact within there field. Physical The Digital Scholarship Lab itself is basically a typical american academic meeting room with grey carpet, grey chairs and tables and some computers and a projector. But the stuff the Digital Fellows and The Lab generates at GC is simply amazing. Examples of projects The Digitial Fellows engage with is The Social Paper – a networked online writing environment where students, at any point in the writing process can publicize their work for feedback from a select group of peers – and Islamic History Commons: a networked space for scholars to connect with one another and share their work within historical Middle-East. Besides that they do workshops like Django Hack Night (Django is an open source web framework based on Python), intros to GitHub and learning faculty to map with ArcGIS StoryMaps (see other activities on blog link below). Andy and Melissa both states that the digital skills of faculty and students are on a rise. New digital tools and methods makes a much faster impact which is good for academia and scholarship but also demands that The Digital Fellows need to keep a much faster track of the development within digital scholarship. In New Media Lab we hooked up with Managing Director Andrea Ades Vasquez and Project Advisor Joe Kirchhof. 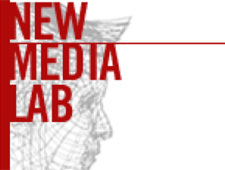 The New Media Lab (NML) works with Graduate Center and CUNY faculty and doctoral students from different academic disciplines to conceive and create new multimedia projects based on student and faculty scholarly research. The goal for NML is to integrate digital media into traditional academic practice, challenging scholars to develop questions in their respective fields using the tools of new technology. Andrea says that The GC is starting to understand the importance of merging digital media, scholarship, and learning – “it’s not only good for student grades but it’s also valuable skills and projects that helps the get jobs after they leave The GC”. The NML is a small and cozy room with workstations and computers along the side, a editing room and a laid back meeting environment in the middle. Joe points out that a meeting environment without any tech involved in a lab is important to create a platform were students and NML-employess can step back from the technical part of a case and ask very important questions like “what is the meaning of this project” and “were do you wan’t it to go”? NML consult mapping tools, tect mining, data visualization, presentations like helping people make a blog for there projects. Students can just walk in at NML to use the facilities or to see if there is anybody available but Andrea and Joe recommends them to make an appointment and send info on what they are working on in advance – very similar to our approach on information specialist guidance at The Copenhagen University Library. The current projects that is going on NML varies from “Visualizing the Victorian Sportswoman” (!) to “Mapping New York City’s Sailortown“. The project portfolio is a very cool way to both communicate the stuff students are working on, to inspire other students and to show that NML can be used for. The Lab also function as a interdisciplinary platform were students are pointed to other students working in the same area so they can help each other out. I find this facilitating approach great and along with the NML people knowing whom works on what the project portfolio also supports this. Besides Andrea, Joe and a few other NML staff members The NML got a pretty impressive amount of Graduate Student Researchers who do workshops, teaching and consulting in the lab. A great way to engage students and make let there skills and knowledge be a benefit for other students. What I really took with my from this visit is the whole idea and framework around empowering the students and faculty members with digital tools and methods. On faculty level this was done by The Digital Fellowship Program who seems to be a very powerful platform in this work. I do not believe that we – at The Copenhagen University Library – could facilitate such a program but it is an idea I will take home to faculty and university. The interdisciplinary function of New Media Lab is another great thing I take with me home. Actually it’s kind of a obvious library task: The academic library has always been the shared center for all levels of faculty and students in can function as a great place for people to meet with shared interests, problems and projects. 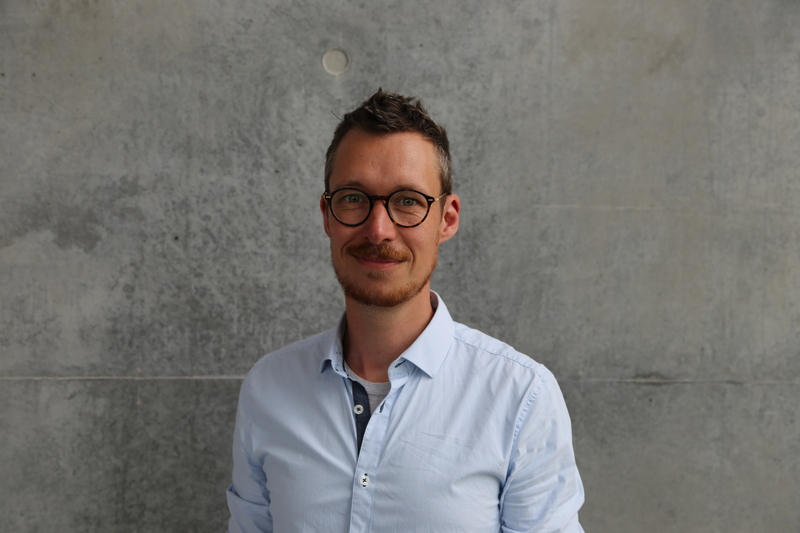 I’m pretty sure The Digital Social Science Lab back home will build up an online project portfolio for student projects carried out in the lab – a great way to inspire other students, connect them with each other and show what is going on in the lab.